Frazier Suction Tips are single-patient use surgical instruments offer surgeons more control with a wide selection of tip and tubing. 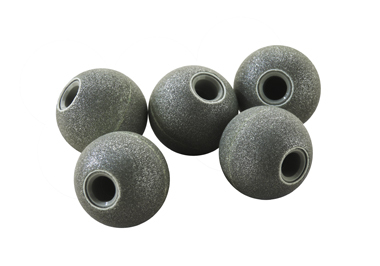 Its malleable, aluminum-insulated shaft resists flaking and finger cut-off control valve allow suction control. It is designed to minimize patient trauma that suitable for Neurosurgery, ENT surgery and in applications where ultra-precise suctioning is required. Frazier Suction Tips are manufactured from anodized aluminum for extra flexibility. Malleable aluminum shaft can be bent to desired position provides flexibility during procedures. Ergonomic, high quality and good feel handle allows for better dexterity in the operation performed. Engineered tube joint enabling use as a probe to resist flaking. 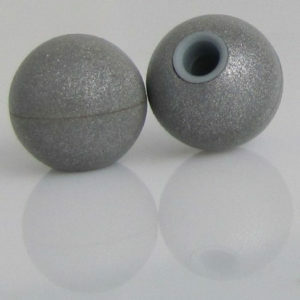 Stylette clears obstructions and allows the malleable shaft to be bent to the desired position without occlusion. Control valve is conveniently located for gives continuous or intermittent precise control of suction. 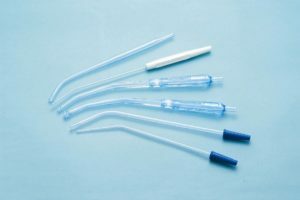 Graduated connector provides quick and easy fit to many different sizes of suction tubing without wastage. Sterile, double wrapped transparent individual peel pouches. Single-use avoids the need to re-straighten or risk breakage to prevent cross contamination. Available with velvet eyes at tip end to avoid tissue damage. Longer tube type for easier access to hard to reach areas. Available in 6FR, 8FR, 10FR, 12FR and 14FR for procedure versatility. Yankauer Suction Tip is a convenient one-handed operation suction instrument which is designed for effective suction of fluids and meets all requirements for general suction purposes, orthopaedic suctioning or dental work. 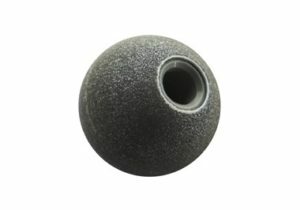 Ergonomic, slip-resistant handles provide excellent and safe grip. Shatterproof construction aids in patient’s safety. Smooth inner and outer surfaces minimize friction and eliminate obstruction or clogging. See-through shaft for easy assessment of suction fluids. Atraumatic end and angled tip allow effective suction without damaging surrounding tissue for patient comfort. 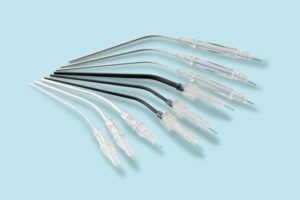 Graduated connector facilitates easy connection of surgical tubings. Thumb control vent is conveniently located for gives continuous or intermittent precise control of suction. Sterile, individual double wrapped peel pouches. Come in various configurations, including tips with preattached tubing.